He took on all the trappings of an English gentleman – he hunted, owned a grouse moor in Wales, and started a family tradition which has continued through to the Prime Minister, by sending his four sons to Eton. Emile’s eldest son, Arthur, a stockbroker, married Steffie Cooper, a cousin of the Royal Family, providing Mr Cameron with a link to King George III, an ancestor he shares with the Queen – his fifth cousin once removed. Your Arabic is Palestinian (Yuck) 😛 and I despise that accent…. As I despise the Syrian accent which sounds like a cow regurgitating… Mooooooo heeeyk akhiiiiiiii? David Cameron ‘may be directly descended from Moses’ or Aaron (Peace be upon them) and John Mccain is a descendant of the holy Roman Empire. I have found a prophesy where these two character fits well in the end time. John McCain who claims that he is not just a descendant of the 13th century Scottish King Robert The Bruce, but also of the first Holy Roman Emperor and founder of modern Europe, the 9th century monarch Charlemagne. 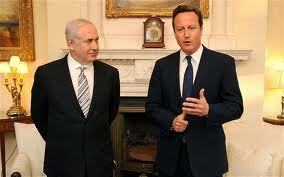 NOW we know both John McCain and David Cameron showed their support towards the Syrian oppressed Muslims. David Cameron’s wife visited the Syrian refugee camp and John McCain visited the rebel Leaders. In the Islamic prophesy the fourth truce between the Roman and the Muslims will be mediated by a descendant of Aaron and a Descendant of Heracles the last Roman Emperor in Syria. So Moses was such an important name yet with all the Egyptian inscriptions on every possible ancient Egypt wall there is no writings or mention of his name… Splitting the seas and wandering in the desert eating manna is just a story for the kids… Santa is more real… He brings toys every year to children… Hold on to that you will get somewhere. ONE lousy Jewish great-great-grandfather.???? Oh yah. A real root. Rooty-toot-toot. The prophesy is talking about two person who will mediate the truce between the Romans and the Muslims i.e. A descendant of Aaron and a Descendant of Heracles the Last Roman Emperor in Syria. I think John Mc Cain and David Cameron are those two person. It is a fact that that Cameron’s great-great-grandfather was the Jewish banker Emile Levita, who came to Britain as a German immigrant in the 1850s.Dr Yaakov Wise at the University of Manchester has discovered that Emile Levita was himself a descendant of Elijah Levita, who lived from 1469-1549 and who pioneered Hebrew linguistic research during the Tudor period. Nice headline jerks. That’s what they pick from everything he said???? Rather telling.